If you feel courageous, want to avoid the crowds and get an idea of the size of Petra, he High Place of Sacrifice is where you want to go. Plus you'll discover some less visited monuments by walking back down through Wadi al-Farasa. 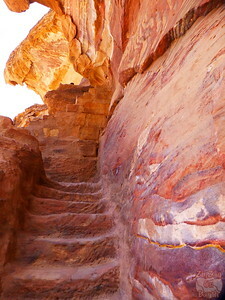 The high place of sacrifice is a high central point in Petra. 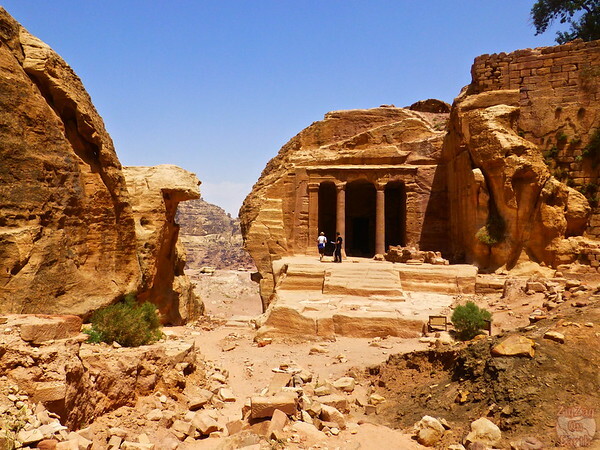 There is no significant ruin but the view of the landscape and of Petra are stunning. 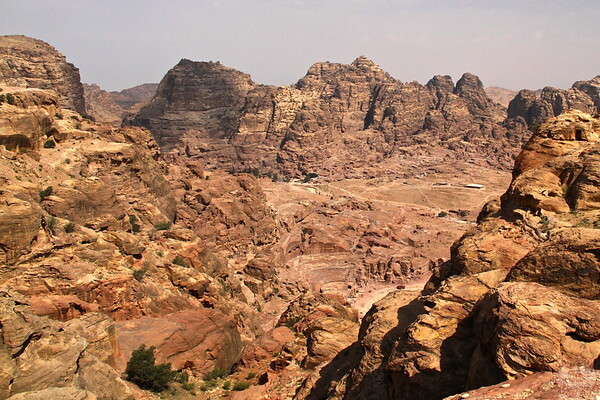 I enjoyed the view and the discovery of the size of Petra, however, if you are limited with time, I would recommend climbi﻿ng to the Monastery rather than climbing to the High Place of sacrifice. 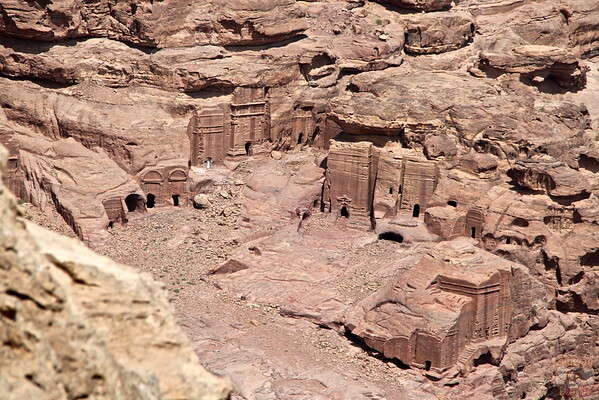 This is at that time that I realized just how much tombs there was in Petra. Just going through the main path down you only see a very tiny section. But from here you can see them lined up against the rock walls. Plus with my binoculars I was able to discover many more. 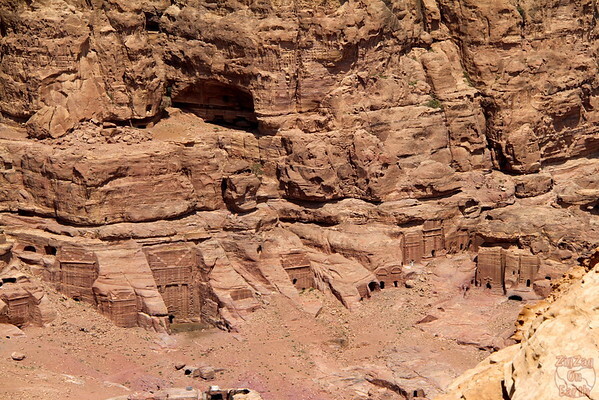 Wadi al-Farasa is a canyon behind the high place fo sacrifice that takes you to other monuments. This path is less touristy and very enjoyable with narrow section, stairs and wider paths. Features and monuments include the Lion Fountain, the Garden Temple and the Renaissance tomb. 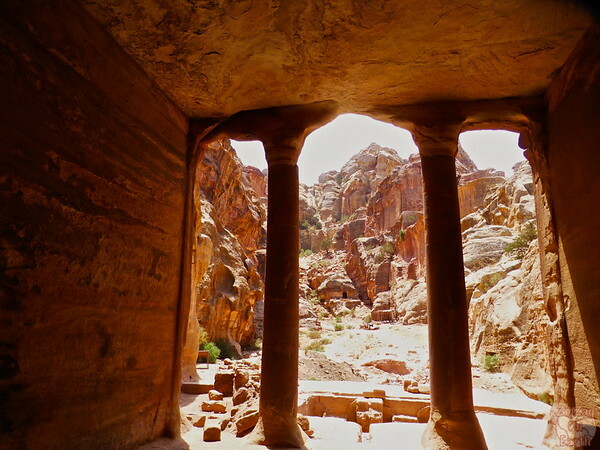 The garden temple is not as nicely carved as other monuments in Petra, but it is allowed to get inside providing a new perspective on those structures. At the bottom of Wadi al-Farasa is the Renaissance tomb, a clean and tall facade full of colors. As I exited wadi al-Farasa, more facades appeared and I was lucky that the flowers were blooming. The mixes of pink were hypnothizing. Want to see MORE of JORDAN? 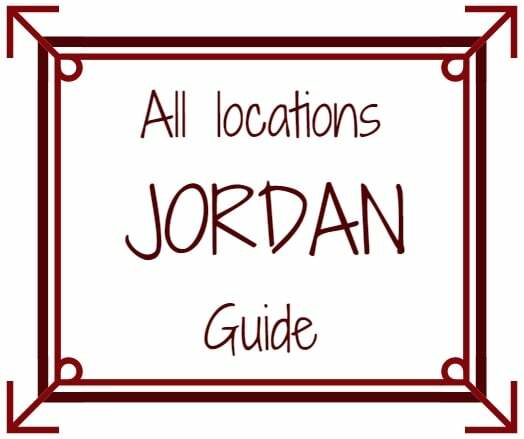 Discover more things to do with planning information and photos in my online ﻿Jordan Travel Guide. Would you climb the hundreds of steps for that view? Very detailed information and nice pictures. Can I ask how much time did it take to complete this whole trail (ascent upto High Place and then descent via Wadi al Farasa)? Is it doable without a guide? It is absolutely doable without a guide. I had one because I combined it with the Madras trail. Since I combined it with the Madras trail I can’t really tell you how long it took me. I would think, for the whole loop, 2h30 to 4h depending on your level of fitness and love of photography. Thank you very much 🙂 Looking forward to it in November. Hello, I am finding such good and helpful information here. 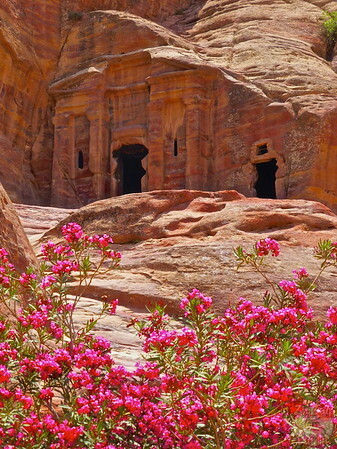 we are planning visit Petra on April 1-2,2019. I am not on that fit side. 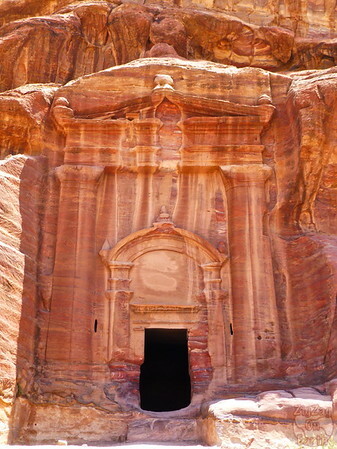 I still would like to visit all the important places in Petra. I can walk fine, can’t climb many steps. so I am thinking about getting on a mule for monastery. do you recommend that? 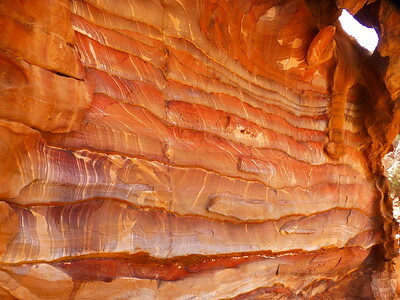 we are planning to spend a day and a half in Petra. do you think it is doable? With a day and a half you can see a lot. Regarding the donkeys, you can. However when I visited, most young people mistreated them. Hopefully they are better treated nowadays. Just check the animal seems well taken care of first. I am traveling to Jordan soon and will be visiting via Visa on arrival, my question was regarding the Binoculars , is it allowed during the immigration. Or will it create a problem because if it will do I don’t want to carry them. Please let me know if you faced any problems when you carried them . I personally never had any issue with my binoculars through customs/immigration anywhere. There are a few stories on the Internet about Jordan but they date back to 2015.